Roberta Rehner was born in Sharon, Pennsylvania. She grew up in a family of musicians. Roberta's grandfather, Albert Billen, was a saxophone and clarinet musician, and was the band leader of the Al Billen Orchestra, in Sharon. Father, Robert Rehner is a retired music teacher, pianist, and bassist. He is a former member of the band The Brass Taxi. They opened for The Manhattan Transfer, The Letterman, The Four Aces, The Bob Newhart Show, etc. Mother, Nancy Rehner is a singer, pianist, and music director of St. Joseph Church in Sharon, PA. Both, Robert Rehner and Nancy Rehner are graduates of the Dana School of Music at Youngstown State University. Aunt, Susan Billen-Jacobs, is a musician/artist married to Charles Jacobs, both of Cortland, Ohio. He is a composer/musician, and the son of Charles Ivan (Cookie) Jacobs, musician. Roberta Rehner has been studying voice, dance, piano, and theater since she was a very young girl. She holds a B.A. in Communication from Thiel College. 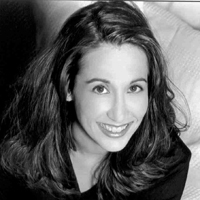 Roberta has worked as a radio personality. Since 2002, she is a cantor at St. Patrick Catholic Church in Palm Beach Gardens, Florida. She is also a cantor and vocalist at Cathedral of St. Ignatius Loyola in Palm Beach Gardens, Florida since 2008. Roberta also teaches private voice (Bel-Canto) and piano lessons to children and adults since 2007 out of her home studio, as well as, Music Man,Inc. in West Palm Beach and Absolute Music Studios. in Jupiter, FL. She has also taught at other music institutions including Jupiter Academy of Music (JAM) and the former Atlantic Arts Academy in Jupiter, FL. She prides herself on being quite diversified in her singing styles. Roberta Rehner not only sings classical art songs and arias, but performs sacred, musical theater, jazz, rock, and madrigal styles. She has even performed with a three-part A Cappella group "The Caroling Company" of Broward County. Roberta gives many cabaret and classical concerts around Palm Beach County as well. Roberta Rehner was a guest vocalist for the Palm Beach Gardens Concert Band at the, Eissey Theater at Palm Beach State College in Palm Beach Gardens. She was honored to perform for the 82nd Airborne Corp. Division. With a love for the stage, she also performed in Puccini's "Turandot" with the Palm Beach Opera at The Raymond F. Kravis Center for the Performing Arts. Roberta has appeared on many stages around South Florida. This includes, the Coral Springs Center for the Arts for the world premiere of "My Catskills Summer" Orchid Street Productions by Writer/Producer, Jay Kholos., Nashville, TN. She also appeared on stage at the Palm Beach County Convention Center and The Raymond F. Kravis Center for the Performing Arts for graduation ceremonies, where she performed two inspirational pieces and the National Anthem. Roberta Rehner has performed at prestigious country clubs. This includes a formal gala at The Club at Admirals Cove in Jupiter, Florida. She has worked and performed with renowned composer and pianist, Donald Waxman, on his vocal and piano/violin compositions at the Steinway Piano Gallery in Boca Raton, Florida. Roberta Rehner is the feature vocalist in her new Jazz Trio which has performed holiday shows, coctail parties and galas at local venues i.e. LaPosada in Palm Beach Gardens, FL and Quail Ridge Country Club in Boynton Beach, FL. 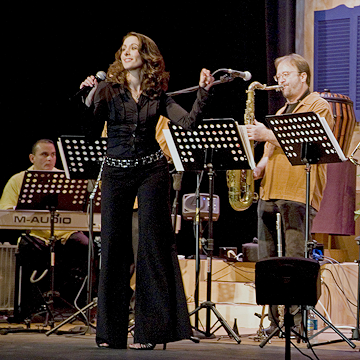 She was also the featured vocalist for the former and hottest swing band in Palm Beach County. From 2009 through 2012, the band played at many local venues, including The Lake Worth Playhouse in Lake Worth, Florida, and Downtown at the Gardens in Palm Beach Gardens, Florida, and Bahia Mar in Ft. Lauderdale, Florida.